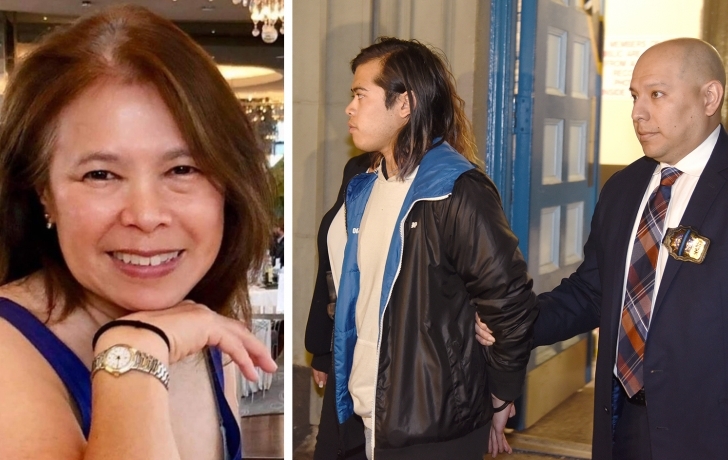 In grisly detail, prosecutors alleged on Thursday that the son of a longtime Tribeca resident and businesswoman, Paula Chin, 65, along with two accomplices, tried to hide his dead mother's body by disposing of it, in a garbage bag, on her Morristown, NJ, property. The allegations follow the arrest on Tuesday of Chin’s son, Jared Eng, 22, Jennifer Lopez, 18, and Caitlyn O’Rourke, 21. The three are charged with concealment of a human corpse and tampering with physical evidence. Additional charges could be filed following the Medical Examiner’s determination of the cause of Chin’s death. Chin’s body was discovered on Tuesday, the day after she had been reported missing from her apartment at 17 Vestry St. According to the criminal complaint, O’Rourke told detectives that Eng admitted to killing his mother and, with Lopez, transporting the body to New Jersey. She said she returned with them to Chin’s New Jersey home, where the trio “stuffed the body in a garbage bag, and removed it to an outside garbage container” on the mother’s property, the complaint said. Video surveillance from early in the morning of Jan. 31 showed Chin’s 2004 Toyota Land Cruiser backed up to the curb of the Vestry Street building, and Lopez getting out. Nearly an hour-and-a-half later, the complaint continued, “an individual” came out of the building with a “duffle bag-like container” and put it in the trunk. Detectives later inspected the trunk and found blood on the carpet and a blanket, and clothing that belonged to Chin, the complaint said. Eng admitted that Lopez drove him to the New Jersey home in his mother’s car on Jan. 31 and again on Feb. 1, according to the complaint. The Daily News quotes sources saying that authorities believe Eng cut his mother’s throat in her Tribeca apartment after being told to move out. Eng is being held without bail. Lopez was released on $100,000 and O’Rourke is being held on $50,000 bail. Lawyers representing Lopez and O’Rourke did not return calls requesting comment. In an interview with the Daily News on Rikers Island, Eng declared his innocence. Chin lived at 17 Vestry Street since 1980, according to her Linkedin. Her two businesses, Pyceco Corp. and C-E Property Corp, are listed on the buzzer of that building. For the past nine years, Chin volunteered for the Tribeca Film Festival, and for seven years as a course marshall for two charity bike-a-thons, according to her Linkedin. Did you know Paula Chin or Jared Eng? Please write to us at carlg@tribecatrib.com with your thoughts. Your identity can remain confidential.